NEWBERRY, S.C. – Rebecca Timmerman Gowan, 99, of 11349 S.C. Highway 121, Newberry, died Sunday, March 2, 2013 at Springfield Place, Newberry. She was born on December 15, 1914 in Kirksey, SC in Greenwood County, a daughter of the late J. Clifton and Lillia Jester Timmerman. She attended Kirksey schools and graduated from Greenwood High School. 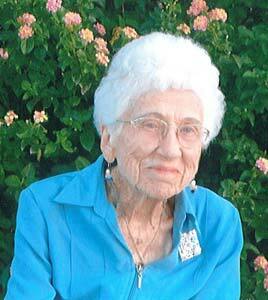 She graduated with a Bachelor of Arts Degree from Lander College in Greenwood on May 27, 1935. She taught school in S.C. for 42 years. After retiring from teaching, she was worked as C.E.O. Manger for the Globe Finance Co. in Newberry. Mrs. Gowan was a member of Glenn St. Baptist Church where she took part in all of the meetings associated with the church. She is survived by 2 nephews, Dabney “Bubba” Timmerman of Myrtle Beach and Robert C. Timmerman of North Augusta; and a niece, Jeannie T. Willingham of Bowling Green, KY. She was predeceased by her husband of 45 years, J.B. “Connie” Gowan. Funeral services will be conducted at 2:00 PM Thursday, March 6, 2014, at the Whitaker Funeral Home Chapel Rev. Michael Whitesides and Dr. Oscar F. Lovelace, Jr. Interment will be in Newberry Memorial Gardens. The family will be at her residence and will receive friends from 5:00 to 7:00 PM Wednesday at the Whitaker Funeral Home, Newberry. Memorials may be made to Connie Maxwell Children’s Home, PO Box 1178, Greenwood, SC 29646 or to Glenn St. Baptist Church, 300 Glenn St., Newberry, SC 29108. Online condolences may be sent to the family at www.whitakerfuneralhome.com.